As I scrolled through an article on Big Think, a small box with the headline “Is Animal Cruelty the New Slavery?” jumped out at me. As an animal advocate, it was a headline I couldn’t ignore, so I clicked through to the video by Evolutionary Biologist and Science Educator, Richard Dawkins. The message struck a profound chord with me because my own awareness and concern for our planet’s animals continues to deepen. It got me thinking about how animals, sentient beings like humans, are still viewed and treated in the world. As environmental and animal rights are both dear to my heart, there’s definitely no shortage of causes to support these days. For as long as I can remember I have had a deep love and fascination with elephants and have been an active elephant crusader. Those who work to raise awareness about how elephants are (mis)treated in zoos, circuses and the wild, are heroes to me. The Elephant Sanctuary in Tennessee and newer on the scene, Global Sanctuary for Elephants in Brazil, are two of the extraordinary initiatives I support who are providing homes for retired or rescued captive elephants so they can live out their lives in a peaceful and safe haven. When it comes to elephants in the wild, the David Sheldrick Wildlife Trust is respected and high profile because of their decades of inspirational work to protect, save and rehabilitate elephants and rhinos in Kenya. When I learned about ZEN (the Zimbabwe Elephant Nursery), a baby elephant orphanage, it struck me that so often we do not hear about those who are fighting for the rights of animals. People who, like me, believe humans must be the voice for the voiceless animals of the world. It’s heartening to see that awareness seems to be on the rise everywhere. Recently I’d found, or been found on Twitter, by several initiatives who are raising awareness about the cruelty inflicted on farm animals and in factory farming. Initiatives like The Barn Sanctuary and The Gentle Barn (who saved the cows who came to be known as the St. Louis Six after they escaped their slated death at a slaughterhouse), plus Mercy for Animals, The Humane League and Riley’s Farm, kept coming up in my feed. It was inspiring to have a conversation with Marla Riley of Riley’s Farm and to hear her commitment to saving farm animals by buying them at auction. She is dedicated to encouraging people to consider keeping animals off their plates by going vegan. Even if that is one person at a time. It had me wondering if there really are long-term solutions for humans and animals to live more equally, in harmony. The more I looked, the more I found the answer is a resounding “Yes”. There are inspiring initiatives offering viable solutions to animal cruelty. 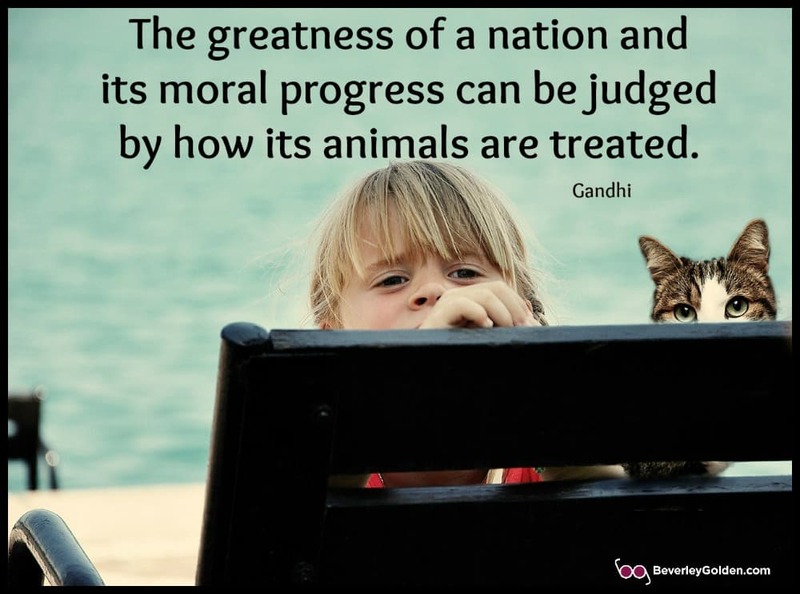 Especially as animal cruelty is most often imposed primarily to satisfy our human desires. Consciousness seems to finally be shifting. Here are a few to consider. Modern Meadows, based in Brooklyn, New York, is committed to making ‘leather in the lab’ by working tirelessly to help create a future where humans make the material and the animals roam free. Their team works to innovate new leather materials to “excite customers and do better for the planet.” How? “Biology and materials science are our foundation, engineering and analytics our strength, and design our core. We’re unlocking the capabilities of nature to solve our biggest sustainability challenges.” Their products look amazing. Beyond Meat is a plant-based meat company that is a leader in lab-grown meat. At first, it sounded weird to me. However, their products are proving to be a true game-changer for climate change and the animal agriculture industry. They offer ethical eaters an opportunity to dine on actual meat without any animal suffering. Their products taste so much like ‘real’ meat, that carnivores remain unaware anything has changed. They sound amazing to me. It’s been shown that eating large quantities of meat is unhealthy for us humans. Also for the planet. Why? Industrialized animal agriculture is reported to be the largest single contributor to climate change, responsible for more greenhouse gas emissions than the entire transportation sector. It’s the culprit behind mass deforestation, water and air pollution too. Let’s not overlook the horrors this industry perpetrates on animals either! The factory farming model is long overdue to change. According to a piece in One Green Planet, “Beyond Meat has been a pioneer in the space of plant-based protein, making the first-ever vegan burger that not only cooks, smells, and tastes like meat but is also sold in the meat case of the grocery store itself.” Beyond Meat’s burger is even included on the menu of TGI Friday’s. In fact, actor and activist Leonardo DiCaprio recently invested in Beyond Meat. DiCaprio isn’t the only high-profile person fuelling this shift away from the animal agriculture industry. Recently eight of the world’s billionaires invested in the fight to end slaughterhouses. Among those are Bill Gates and Sir Richard Branson. Things are definitely changing as awareness is being raised. One amazing statistic is that since 2014, veganism has risen 500%! Wow! Have you made the switch in your life? One company in Queens, New York has. When Elmhurst Dairy found their customer demand was decreasing, they ceased their dairy operation after 90 years! What did they do next? They saw the declining demand for cow milk as an opportunity to become part of the growth explosion for plant-based milks. They’ve dropped the dairy and renamed to simply ‘Elmhurst’. They now produce their own range of healthy plant-based milks, offering four varieties: Almond, Hazelnut, Cashew and Walnut. They’re made from only raw cold-milled nuts and simple ingredients. “No emulsifiers, thickeners, whiteners or frankenfood proteins” are used. Sounds delicious to me. Have you tried any of these nut milks? Have you ever wondered how the products you use are tested to ensure they’re safe for human consumption? Until recently, that was exclusively on animals being subjected to cruel and debilitating testing in labs. PETA has been at the forefront of raising awareness and bringing change. Here’s a list of seven ways you can help animals who are still being used in lab experiments. One easy way is buying products, especially cosmetics, that are free from animal cruelty. This is becoming easier to do now that more companies have stopped animal testing. Hopefully, the information and initiatives shared leave you with some food for thought. The welfare of all animals depends on the daily choices we humans make. Have you made changes to your lifestyle to be more conscious and compassionate to animals? Thanks a lot for spreading such an important message! I’m glad you pointed out many terrible aspects of factory farming. We can all do our part and make conscious decisions to help end it. People need to realize that their money has the power to change the world if they invest properly and stop buying factory-raised animal products! I’m including this amazing article in my piece about the horrors of factory farming. I would gladly share it when it’s done. Hi Alex. Thanks so much for also being an animal advocate who is spreading the word about the horrors of factory farming. I believe that the consciousness is on the rise, but there is still so much more to do as far as educating people. I believe that once people know, they change their habits and choices and spend their money differently. Please do send me a link to your article once it is finished. I appreciate you including my piece for your readers as well. Thanks a lot for your inspiring reply! It’s on us to spread the word and help make this world a better place for everyone! Sure, I’m sending it ASAP. Thanks again and keep up the amazing work! Thanks for checking back Alex and I look forward to seeing the work you are doing as well! It really is on us humans to step up and speak out for the animals who do not have a voice. I am encouraged by how the consciousness is being raised, however, there is a lot of work to do. Years of cultural conditioning I suppose, and that takes time to undo. This topic is so important and how we make decisions on our animals and what we feel is important to the lives of animals and they are treated. It saddens me to see how animals are treated as ‘meat’, as they are defenseless and don’t have a voice to say no. There are so many innocent animals out there and the way Elephants Tusks are sold, we have to be mindful of this and make a difference to save the precious animals. Thank you for sharing your passions and being a part of this movement and community. Thanks for your kind and compassionate comment, Lori! I know how much you love animals as well and we need all the people we can who are a stand for the wellbeing of animals. The way animals are treated is heart-breaking and only us humans can take steps to make a shift in our consciousness about animals. Elephants are my passion and slowly countries and laws are changing to protect them. I am hopeful things will change and animals will be more revered and respected on planet earth. You make so great points, Rachel! Yes, animals are here for human beings to eat, but not if there is cruelty involved. So often there is, unfortunately! Animals still feel pain and are fellow sentient beings and deserve to be treated with reverence and respect for what they do offer to us. Being conscious of what we eat and buy and making sure that the animals were treated humanely, is a way to be more compassionate and caring. My heart breaks for all the ways animal cruelty raises it ugly head. I REALLY appreciated your article and the in-depth research you did around the companies and initiatives designed to help our beautiful creatures. AWARENESS AWARENESS AWARENESS is key! I’ve significantly reduced the amount of meat I eat. I don’t use ANY products that have been animal tested. Also, I don’t go to zoos. I refuse to give them my business as these beautiful creatures should be FREE. This was interesting: since 2014, veganism has risen 500%! Wow! I am SO glad to hear this. I am moving towards this. It really is a huge issue on our planet now, Tandy! Animal cruelty is heart breaking to me and the more my consciousness is raised, the harder it gets to see how wide-spread it is. For both domestic and in wild animals. I’ve taken to celebrating the small victories, like just hearing that Nosey, the elephant who spent much of their life in horrid circus conditions, has been freed to live the rest of their life in the Elephant Sanctuary in Tennessee! Yay! I have also reduced the amount of meat I eat and am very conscious of the sources of organic chicken I do buy. Like you, I am moving away from anything, including products I buy, that involve any kind of animal testing or cruelty. I never go to zoos anymore either, although it was my way to see elephants up close in years gone by. Animals do not belong in zoos, although someone I know worked at a zoo and reminded me of the wonderful conservation work some of them do. Veganism is on the rise, indeed. I don’t know if I can go 100% that way, however, it is encouraging to see how many people are! There is so much good information here Beverley. I love the pictures of the elephants. I love the Ghandi quote too. I think everyone could be a whole lot more to be empathetic and kind to animals and people too. Thank you Cathy! I am happy that you enjoyed the info shared and the photos and quotes. As someone who loves elephants, I love this photo too. I also think everyone could do more to be kind and have empathy for the animals of the world. Yes, for people too! Great article Beverley. So informative. It’s interesting to learn about companies who are working to change our way of eating. I love the one who has moved completely away from their old way of doing ‘dairy’. Some great initiatives out there I had not heard of. I am not a big meat eater but haven’t totally sworn it off. Love that there are more alternative and restaurants who are jumping on board to make vegetarian more foo more appealing. I need to do more experimenting. Thanks again for your research and sharing it with us. AND of course your big heart for the animal kingdom. Thank you so much for reading this post and for your support for this topic, Kelita! It was interesting for me to learn about all the initiatives too…people are waking up to alternatives to help protect the animals of the world. I also love how Elmhurst has become proactive and moved to nut-milks after so many years as a diary. Although I used to be a big meat eater, like you, I no longer am. I am not a vegan or even a vegetarian, but am highly conscious of where my animal protein comes from. I agree that there are so many appealing alternatives now everywhere. So many creative people making foods that are healthy and animal free. Thank you for caring and for your supportive words…it really means a lot to know that something I share is having a positive impact on others. This article gives me so much hope. I love the many examples you shared of people doing something to help this situation. I especially liked the dairy that switched to plant-based milks and the faux leather. Simply brilliant. The problem is huge, and the root causes are massive, nonetheless, there are things we can each do to help. Thank you, Beverley, for lighting the way! Thank you Reba! I am really happy that this piece is eliciting a positive response in people. My intention is to raise awareness about the issue and the good things that I see happening in the world to change it. I also love that Elmhurst switched from dairy to plant-based milks and Modern Meadows is cultivating faux leather without any animals involved. It is brilliant indeed. I agree with you that there are things we can do and each choice we make can make a difference. Coming originally from Wisconsin, I find it interesting that dairy consumption is decreasing and more and more like myself are turning to plant-based options. Soy milk is definitely a no-no since most soybean groups are not GMO’s. Each year our family eats less and less meat. There are so many sources, including Pinterest, where you can find great healthy no meat recipes. Animal cruelty has been a big problem in the meat industry. We need to keep the attention and pressure up on all forms of animal cruelty. Thanks for such a comprehensive post. I admit I was a bit surprised as well, Joyce, as the dairy lobby is a very powerful force in the U.S. The times are changing and to see how adaptable people are being in their personal lives and in creating businesses to respond to those changes, is amazing. Like you, I am eating less meat, and still do eat organic chicken and some dairy. The more I learn about how animals are treated, I admit the more challenging it is for me to look away. And yes, animal cruelty is a huge problem in the meat and dairy industries! Raising consciousness is key. Thank you for caring and for your support for this. PETA’s doing an awesome job in India, Beverley, as is Menaka Gandhi’s People for Animals. Each one of us can make a difference for animals if we try. I remember an incident from a few years ago when Miss Coco was still a puppy. We were walking in our compound when we heard a stray cat crying. I was worried for Miss Coco because she was tiny and when the cat appeared in front of us, I could see that she or he had cut their paw and was in pain. The cat cried piteously. Neither the cat nor Miss Coco were scared of each other. What happened next is true. Miss Coco looked up at me as if to ask if we could do anything to help. The cat went and hid under a car in our building and I went upstairs and called a friend who was a cat person. She came to our block with cat food and some medicines and bandaged the paw of the cat who went on to recover. When animals who are also transient beings understand compassion towards each other and especially those who are supposed to be their natural enemies, then why can’t human beings do the same? It’s wonderful to hear that PETA is doing such a great job in India and thank you for sharing about Menaka Gandhi’s People for Animals project. I completely agree that each of us can make a difference for animals, simply by raising our awareness and also by our choices. I LOVE your story about Miss Coco and the kitten! And I am so happy she was aware and gently nudged you to help. I do believe animals really ‘get it’ and act from a place of compassion to other animals when given the opportunity. I see videos all the time of animals and how sensitive they are to other animals when they are suffering in any way. It’s a beautiful observation you make. If animals can show love and compassion to each other, maybe that is a lesson we humans could stand to learn from our animal teachers. So inspiring Beverley, and I love the image of the elephants. It’s very easy to quickly fall into static overwhelm if we focus on the sheer enormity of areas that are in need of help. The endless images of starving children, countries at war, the environment, and yes, endangered and mistreated animals. Too often we shake our heads in sad agreement and end up doing nothing. Thank you for sharing this information and shining a light on specific areas where we can focus our attention and support. Thank you, Marquita! I completely agree with you when it comes to the sheer number of areas of need on our planet. As someone who cares deeply about the environment and animal rights, it is often discouraging to think how much there still is to do. As long as we individually do something, as small as that might be, we are making a positive contribution. It feels important to shine a light on areas that need attention, so thank you for your acknowledgement of that. Beverley thanks for raising my awareness, I am aware of many areas of animal abuse, I suppose we could call it. Not currently a trail blazer for this area while admiring those that do. Amazed at the number of initiates in place and more will come. One thing though not ready to become vegan, have tried it, although i am conscious of the meat i do eat and where it is farmed and sourced. Thanks for caring, Suzie! I feel we are all learning as we go and once our awareness is raised, there is no turning back. I also still eat organic chicken and dairy, but know that there is always room to do more, once we learn more. Like you, I am so appreciative of the people who do dedicate their lives to helping animals..both domestic and in the wild. Love all the replies people are offering, as there are so many compassionate people who love animals. Thank you for shedding more light on this much-needed awareness. I really did not know until a few short years ago how deep animal cruelty goes. It is heart-breaking and yet so many wonderful people out there making a difference. I am sharing your tweet clicks, thank you, Beverley! Thank you for also caring deeply about how deep animal cruelty goes, Teresa! I must admit that I continue to learn more and know I can never go back in terms of how this needs to change! It is truly heart-breaking to bear witness to, but I agree that there are an incredible number of people who are doing such amazing work to make a difference for the beautiful animals of our world. Thank you for sharing this too! Hi Beverley. You bring some very good points about animal cruelty and ways to change our behavior towards them. Thanks for caring about rising awareness about animal cruelty and how we humans can become more conscious and change our behaviour to show more compassionate and caring, Claudette! Having recently visited the Sheldrake Elephant Orphanage in Kenya, I was moved by your article. Thank you for bringing this out into the light! Visiting the David Sheldrake Wildlife orphanage is something I would LOVE to have the opportunity to do, Laurie! It must have been so heart-warming and eye-opening at the same time. The work they do is heroic in my view. I am happy to bring this out into the light too! Wow, Beverley, this is such an awesome blog post. I love how you touched on different ways to prevent animal cruelty, and the positive changes that are being made. Thank you for writing this! Thank you Jill! I appreciate knowing that preventing animal cruelty is important to you as well. The more of us who share this perspective, hopefully the more awareness will be raised! Thank you for your reflections and your continued research and discovery. This is thoughtful and persuasive writing. I hope you will continue to post on this topic. Thank you very much Meghan! I appreciate your kind words and am happy to hear you found this post thoughtful and persuasive, as my intention is always to share info that creates a positive impact. I do plan to write other pieces about animals both domestic, farm and in the wild. I have a great compassion for all animals. They are loving living beings. Thank you for your post. Thank you for being a compassionate animal lover, Heather! 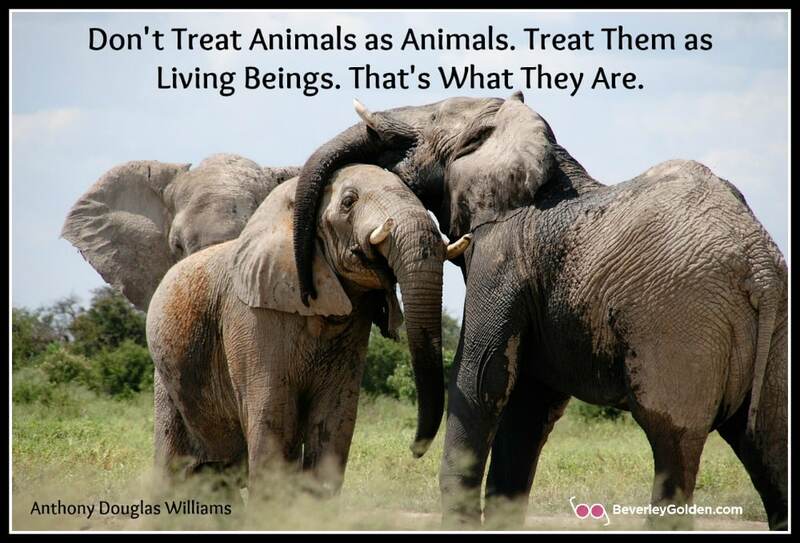 I agree that they all animals are loving living beings and deserve to live lives of respect and appreciation. Thank you for an important and thought-provoking post. For the past 20 year or so, I have shared my life with “problem” dogs who were dumped for being aggressive or “handicapped.” Turns out there was nothing wrong with any of them and they have taught me more than I could have imagined! On another note — I’ve been working on an art project and elephants keep coming up. I don’t have much experience with them but I suspect there will be some sort of connection in the near future. Thank you so much Andrea! I really appreciate hearing you appreciated this article. Thank you for being someone who is willing to take on the dogs others find too aggressive or handicapped. It’s amazing what love and compassion to an animal will do to show who they truly are. It’s beautiful to hear how incredible your experience has been! It will be really interesting to see what manifests relating to your art project and elephants! I’ve been watching videos of elephant rescues tonight and am constantly amazed and fascinated by their beauty and gentleness. I look forward to hearing how the art and elephants unfold for you. Elephants are so worth learning more about and I suspect the fact they keep showing up, does mean there is something there for you too. It’s wonderful to read about all the people who work tirelessly on behalf of animals, Beverley. Easy to forget when it’s the stories of those still wanting to shoot them for sport that make the headlines. We can all do our part by avoiding things like leather or products created through animal testing – those that don’t will have an animal cruelty free label. When it comes to the food we eat, not everyone is ready to jump on the vegan wagon yet. We can still be mindful of where our food comes from and opt for kinder alternatives – free range eggs, farmed instead of fresh prawns and so on. Just cutting meat from a few meals a week can make an enormous difference to the environment and to our health. Thanks Tami and I do agree with you. It is very easy to forget how many people are fighting for the animals of the world. I didn’t want to bring attention to all the negative stuff we constantly see and hear and was hoping to bring a heightened awareness and options for people to see are available to them! There are many, many things we can do individually. And so many more options to choose to make it easier for us too. As someone who still eats organic chicken and dairy, I agree with you. I am happy to see more people going vegan, but know my health is better when I do eat some animal protein. 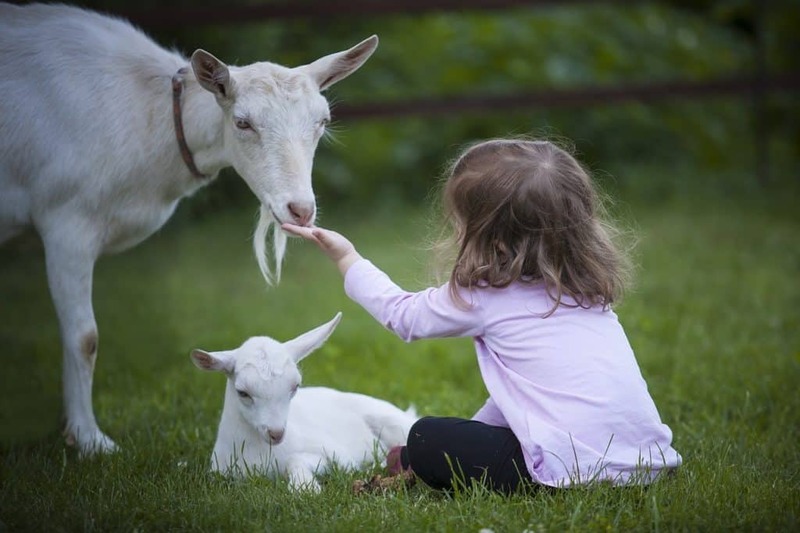 How the animals are raised and treated is everything! That is what people can definitely become more conscious of. Mindful and conscious are both very healthy ways to shift the conversation and make even small changes that cumulatively will make a huge difference for the animals of the world. I have been a vegan for the past 5 years and I feel it is the most important thing that I’ve ever done in my life. Animal cruelty is at the top of my list of things I am working to abolish. Thank you for this thoughtful article and the links to so many groups that are out there fighting the good fight. Thank you for sharing that Barb, as I admit I am not a vegan yet and still eat organic chicken and organic dairy. I am morally torn, but from a health perspective find myself feeling healthier when I do eat some animal protein. With all the incredible initiatives, it sounds like it is getting easier to become vegan. I appreciate that you are also a stand to end animal cruelty and are a voice for our voiceless animals! It was encouraging to see how many initiatives there are who are out there working to raise awareness and to shift the story for our beautiful animal friends! More people need to know this stuff. Thank you for sharing and for being such a great advocate for animals and Mother Earth. Thank you for being someone who also cares about animals and Mother Earth, Laura! I agree with you 100%…more people do need to know about this and hopefully together we will raise the awareness and be voices for our planet’s animals. So appreciating this content-rich blog offering numerous places to check out. I also appreciated that it’s a visionary post asking questions and not sharing horrific pictures.